A mother's love knows no boundaries, unconditional, and every moment with her is priceless. And what's a better way of showing her that you love and treasure her by pampering her with Villa Del Conte chocolates on Mother's Day. 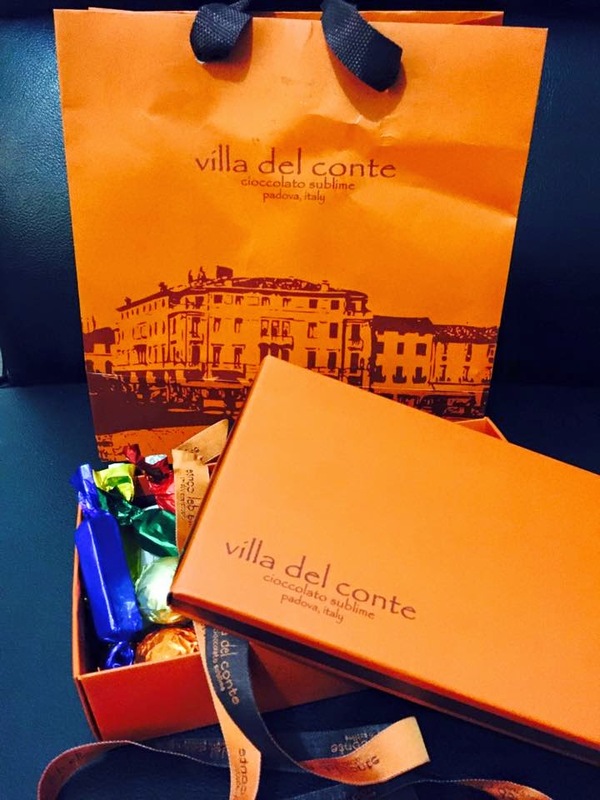 Villa Del Conte artisan chocolates are made by a family of chocolatiers in Italy. The name Villa Del Conte refers to the province in Italy where Enrico Cattapan and his family reside. There are a wide range of sweet treats to choose from: praline balls, praline sticks and chocolate bars. These mouthwatering chocolates are oozing with love and will make you mom melt with happiness. Villa Del Conte stores are located at Greenbelt 5, Century City Mall, Shangri-La Plaza, Resorts World, Alabang Town Center, and Robinson's Magnolia.